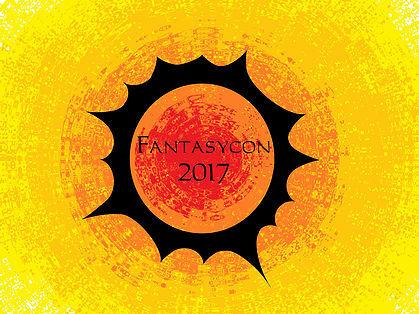 Fantasycon is fast approaching and I am very excited! I'm also a little nervous - I've never really been away from my kids and I haven't been away from the baby for more than a few hours yet. It'll be odd, being out there on my own for three whole days. I won't know what to do with my hands without a pram to push! Anyway, I've bought new clothes, ordered books to bring and arranged transport and a hotel room. I'm working on selecting a section of Ashael Rising to read - the timing is pretty generous so I might even be able to fit in a whole chapter! Friday - arriving around 12pm. Reading at 2:30pm in the reading room. Saturday - Worldbuilding panel at 12:30pm in panel room 3, Writing Short Fiction panel at 5:30pm in panel room 3. Sunday - Fantasy Economy panel, 1:30pm in panel room 2.